Chef Roy Breiman, Director of Food and Hospitality at Copperleaf Resturant, worked in Michelin-starred hotels and restaurants, both in the U.S. and internationally. 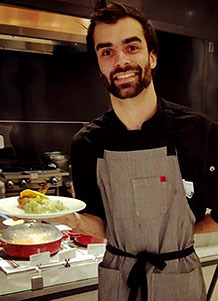 PBS named him one of America's Rising Star Chefs; John Mariani of Esquire Magazine named him a "Chef to Keep Your Eyes On" and Bon Appétit magazine named him one of 13 "Top Hotel Chefs in America." 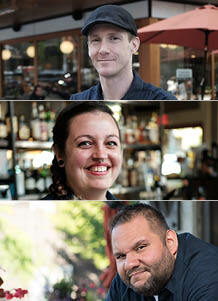 He competed on the Food Network Show "Beat Bobby Flay," where he successfully brought back a win to the Seattle area. 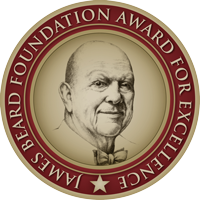 Breiman is a cookbook author, a member of the James Beard Foundation and presently sits on the Food Lifeline and the Pellegrini Foundation board of directors. 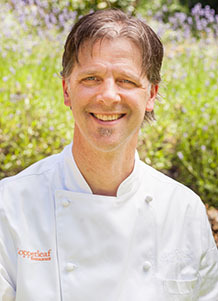 Chef Adam Stevenson brings over 30 years of experience to his role as Executive Chef at Copperleaf Restaurant. 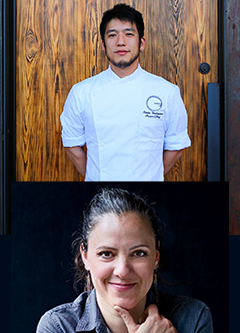 During his career, he has worked in a variety of Seattle restaurants and hotels including Tulio Ristorante, The W Hotel, Pro Sports Club and Motif Seattle Hotel.